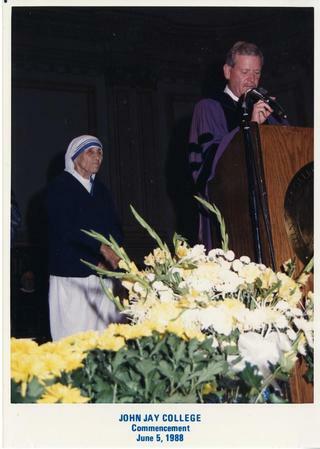 Photos of Mother Teresa, as Honorary Degree Recipient at 1988 Commencement. From Photographs Series, John Jay College Archives. Amd Events Series, John Jay College Commencements. Commencement ceremonies -- New York (State) -- New York -- John Jay College of Criminal Justice.